[New for 2013] Ok, so we discovered that there are four new pint flavors available from North Carolina based Front Porch Ice Cream (made by Mooresville Ice Cream) not including the special Dale Jarrett flavor. I went with what I wanted from the free shipment on the first try, but let's crack open something I hope my wife will adore. 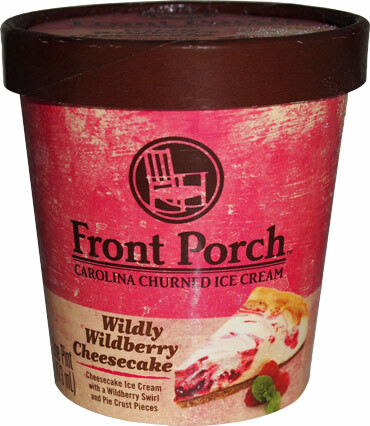 This is Front Porch Wildly Wildberry Cheesecake. 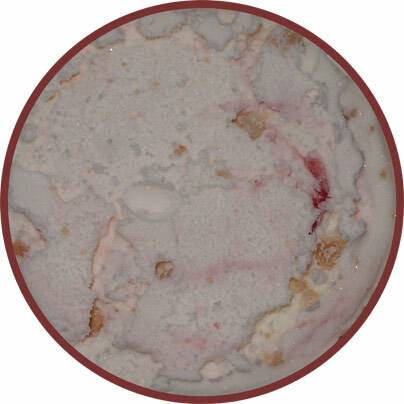 It's cheesecake ice cream with a wildberry swirl and pie crust pieces. You know I'm hoping for lots of pie crust pieces right? Looks promising enough, especially all of those crust pieces! Nice, it even smells like graham (and not cheesecake!). Mmmmm. I take a few bites and thankfully the cheesecake is not trying to dominate the situation. It's more of a vibe than anything. Oh I do appreciate balance. Nothing is trying to knock me over and that is appreciated. What a pleasant flavor. Ok, I'm further down and now there's more swirl and less crust pieces. 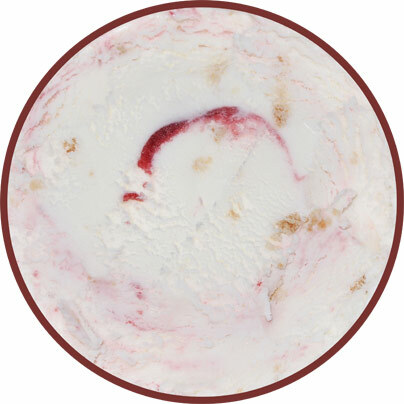 The cheesecake flavor is coming out more, but I'm having trouble thinking of the words to describe it. It's not a cheese of cheesecake flavor I'm tasting, it's more of that... more cake than cheese I should say. I'm talking batter flavor here, I mean when you are digging in to a cheesecake and you are tasting a baked product and not so much the cheesy heart of the cheesecake. Oh I hope that makes sense... ahhh, I hate when I babble. On Second Scoop: Ahhh, it's good to be back finally. I was looking for a nice summery treat and here I am... sniffing the cheesecake aromas as the pint patiently waits in front of me. Cheesy, but not crazy. Berry, but not crazy. Pie crust here and there, a subtle underlying crust note to every bite... nothing crazy. It's funny how much the aftertaste makes me feel like I've just finished some restaurant dessert. It's just a nice flavor that's just rocking back and forth on the porch. No need to be overpowering, just chill out and grab another spoonful. This is the kind of flavor I expect my wife to love... if I can manage to leave her any... ok, she's had some now, thumbs up from her! How important is the Nutritional panel to you and your followers? hard to say, i know some people appreciate it, some people glance at ignore, some people ignore it. Would you consider doing a Nutrition panel comparison and ask your readers to comment?